Follow our community. Get to know us. Join us. Everyone is Welcome. The Innovation Institute is more than just a place to enroll your child to learn science and engineering. We are a community. 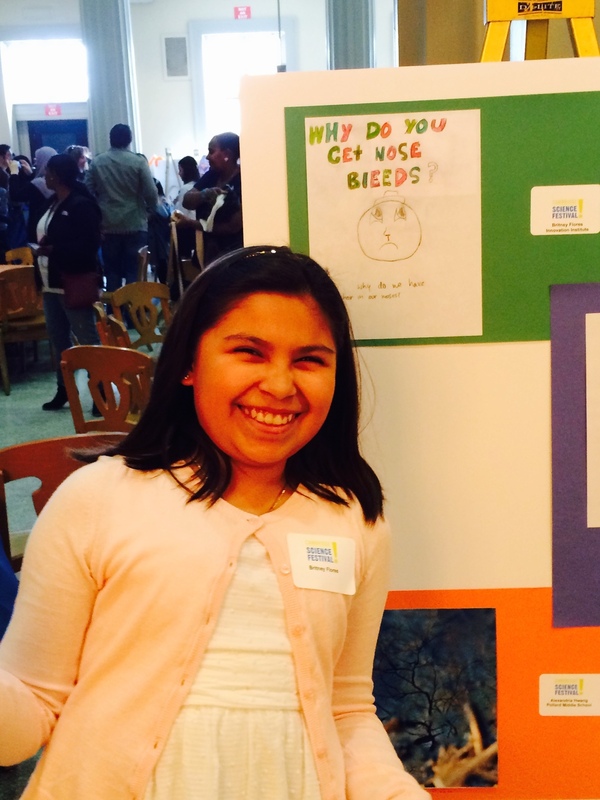 'What causes (spontaneous) nose bleeds' wondered one of Ti2's fifth graders. She won a Cambridge Science Festival Curiosity Award for her question and poster. Winners were celebrated at an awards ceremony at MIT. 5th Graders Want Their "Data"
This afternoon, students in the Science of Renewable Energies course were learning what data are, how to collect them carefully and then how to use to data to detect trends. They talked about when to impute meaning to the trends they saw. A mother who was listening in texted her husband to indicate that her son was learning university-level material. We were excited that the students demonstrated the capacity, self discipline, collaborative spirit and smiles while building their dataset. One student did not want to leave even though class had ended. Not unusual at Ti2. Next week they will enter their data into excel and learn how to interpret basic regression analyses. Why? Because they are capable of doing it, and it offers them another (and likely new) way to think and analyze. These types of joyful learning moments are the norm in our courses. Its tough to report on them regularly, however. We are truly so busy focusing on student learning. So, we may not be marketing gurus or have a big budget and corporate backers, but something fundamentally special is going on here. Young people are engaging in amazing and meaningful learning, and they are doing so with joy and humor. Sorry, we did not have time to take pics for posting.